Here at Martin’s Specialty Sausage company we aim to accommodate our customers & provide them with only the best premium, gourmet sausages. All of our ingredients are fresh and we never use any artificial preservatives. We want to continue to spread our passion for the food industry and specialty products. We are currently serving the Delaware Valley through a wide range of vendors, from mom and pop shops to major retailers. Give us a call any time or stop by our retail store in Philadelphia, PA. I would like to introduce my company and tell you about our wonderful products. My company is an extension of my family’s meat business which started with my grand fathers in 1912 in Italian market of Philadelphia. 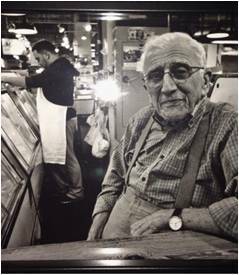 In 1986, I started Martin’s Specialty Sausage company as retail store in the famous Reading terminal market in Philadelphia. When the demand for our high quality sausage increased, we branched out into a USDA Inspected Sausage Producing Company in 1989. In February 2002, we completed our move to a new state-of-the-art facility. We are currently distributing our products in ten states, with additional states being serviced by our wholesale distributors. Our Martin’s Brand is our premium line of gourmet sausage that I pride myself on. Enclosed you will find our product list describing the sausages we are currently producing. Should you require custom recipe sausage produced, we will be available to accommodate you. In making our sausage, we use the finest ingredients available, always fresh never frozen meats. the other ingredients, such as spices, cheeses, fruits and vegetables are always all natural and never with artificial ingredients or preservatives. Please ask for our product at your local food market. When in Philadelphia, please visit our retail location in the Reading Terminal Market, Stall 820, 12th & Arch Street, Philadelphia, PA 19107, 1-215-629-1193.